Garlic has been used as both food and medicine in many cultures for thousands of years, dating at least as far back as when the Giza pyramids were built. Garlic is still grown in Egypt, but the Syrian variety is the kind most esteemed now. Garlic is mentioned in the Bible and the Talmud. Hippocrates, Galen, Pliny the Elder, and Dioscorides all mention the use of garlic for many conditions, including parasites, respiratory problems, poor digestion, and low energy. Its use in China was first mentioned in AD 510. In the account of Korea's establishment as a nation, gods were said to have given mortal women with bear and tiger temperaments an immortal's black garlic before mating with them. This is a genetically unique, six-clove garlic that was to have given the women supernatural powers and immortality. This garlic is still cultivated in a few mountain areas today. Garlic was rare in traditional English cuisine (though it is said to have been grown in England before 1548) and has been a much more common ingredient in Mediterranean Europe. Garlic was placed by the ancient Greeks on the piles of stones at crossroads, as a supper for Hecate (Theophrastus, Characters, The Superstitious Man). A similar practice of hanging garlic, lemon and red chilli at the door or in a shop to ward off potential evil, is still very common in India. According to Pliny, garlic and onions were invoked as deities by the Egyptians at the taking of oaths. (Pliny also stated garlic demagnetizes lodestones, which is not factual.) The inhabitants of Pelusium, in lower Egypt (who worshiped the onion), are said to have had an aversion to both onions and garlic as food. I was tagged by Becky from http://bakingandcookingataleoftwoloves.blogspot.com for the 7 links game. There are so many wonderful bloggers, it was hard for me to pick. I'm passing the 7 links game to my fans. Thanks, Becky for thinking about me. In a large pot, cover potatoes with water, bring to boil, add salt to water. Cook potatoes until fork tender. Drain well. Return potatoes to pot, add salt, pepper, garlic herb seasoning, butter and chicken stock. Mash potatoes using a potato masher. Taste and adjust seasoning if desired. Sprinkle pepper over top of potatoes. Enjoy! Hmm I love Garlic Herb Mashed Potatoes, and your version looks great! 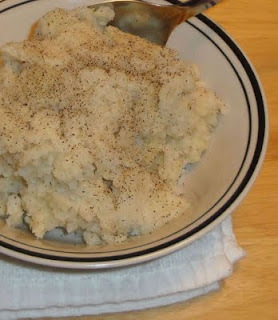 You always write such interesting posts...Garlic mashed potatoes are a favorite! So simple, but so delicious, and a great way to get more garlic. Because you can never have too much garlic! Mashed potatoes are my kryptonite! Thanks for sharing this great recipe with garlic! Mmm, I love garlic mashed potatoes! The more garlic, the better!! I love garlic and potatoes, this sound yummy. Thanks for the recipe. I love potatos too. Thanks, Kathy! I use garlic a lot. Love garlic. Love garlic herbed mashed potatoes...yumm! I LOVE Garlic Mashed Potatoes... So good. They are a staple in my house, and go so well with almost any main dish! Looks great! Potatoes...one of my all time favorite foods. Love pretty much everything about them. Thanks for sharing your recipe. I always love to read or hear about the history of everyday ingredients. Garlic is something I use on a daily basis, pretty much. 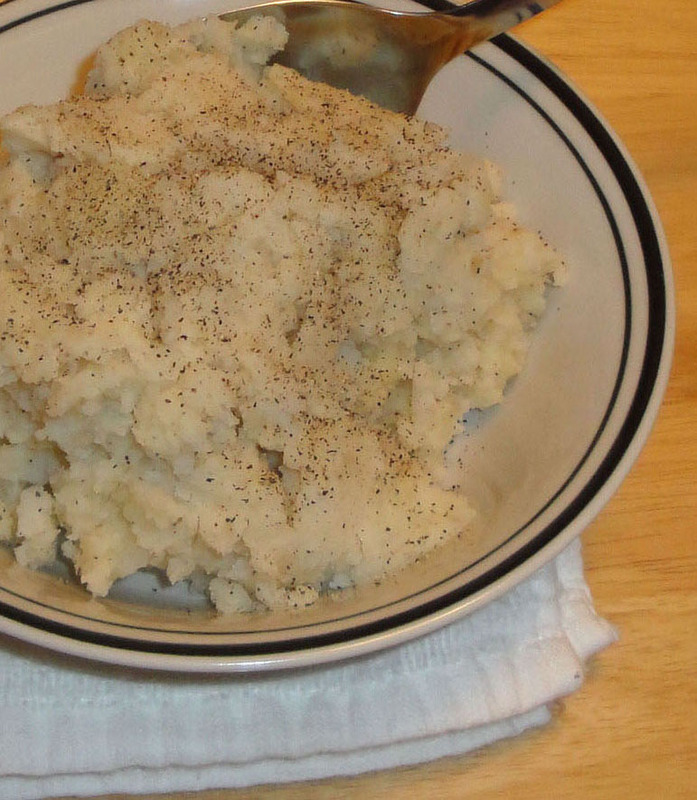 Your mashed potatoes look and so delicious and so much better than just buttered potatoes. Thank you for the kind words you recently left on my blog. I appreciate it. Love garlic in potato dishes! Actually I like to add garlic in almost all the dishes..of course, except the sweets. YUM! Garlic mashed potatoes is one of the reasons my kids like to go to the Reata restaurant in downtown Fort Worth...nice post! These look good! The first time I tried to make mashed potatoes I over mixed them with my standing mixer. They were like GLUE! My BF ate them anyway. So nice :) I like that you just added herb and garlic seasoning and not straight up cloves. :) Happy Labor Day Weekend! Yum garlic! It just makes everything taste better! Garlic in anything is welcome at my home and mashed potatoes are just right with garlic! What a lovely combination, Christine!! Thanks for all the info on garlic. It is my favourite super food. Can't live without it. Great garlic info.... We love it, grow it and eat lots! Thanks so much for your kind comments. You and your comments mean a lot to me. Have a great weekend. I've just a bag of potato and haven't got any idea what to do with it. Garlic & herb mashed potato sounds good! Every potato is better with garlic! These are perfectly blended and sound awesome! I kind of revere garlic myself! Never tried mashed potato with garlic or chicken flavor. Sounds great! I will try your version next time I make mashed potatoes. When you make this, let me know what you think. Thanks! Love mashed potatoes, and you sure made it more flavorful! Interesting post as always! I LOVE MASHED POTATOES! Especially, and i mean especially with garlic. It's such a perfect combo. I'll be makin' this for sure! Mashed potatoes are like pasta in that they are a perfect blank canvas to paint with delicious flavors. Garlic... herbs... yum! Great combination of flavors. Love how you lightened traditional mashed potatoes by swapping chicken stock for the dairy.